I love easter, but those darn Cadbury Eggs take me down every time!!! What do they put in those things? They are so chocolatey, so addictive, so amazing! I ….MUST…..RESIST. I the special occasion they make their way into my house, they don’t survive long. Then, I found this new terribly incredible way to enjoy them. 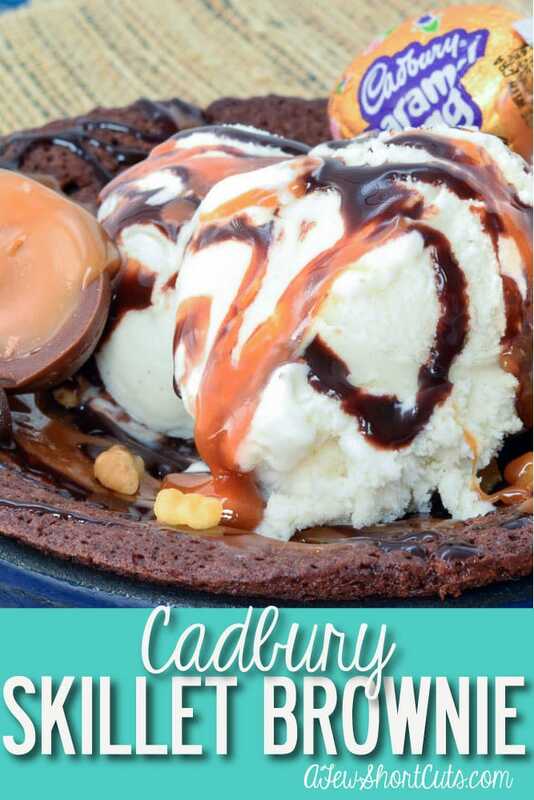 HELLO Cadbury Skillet Brownie. Plus, I love that I get to bake it in my favorite cast iron skillets. They are so stinkin’ useful! If you don’t have cast iron I highly recommend it! In a small microwaveable bowl, add the butter, cocoa and chocolate chips and heat in the microwave for 45 seconds. Stir and put back in and microwave in 15 seconds increments until the chocolate is melted. Chocolate burns easily so don’t over cook!! Set aside. In a large mixing bowl, stir the eggs, vanilla, sugar and brown sugar together until combined. Add the chocolate sauce into this sauce and let stand to cool. In a large bowl, mix the flour and baking powder together. Add this mixture to the chocolate mixture. Divide evenly into 2 small cast iron pans and bake for 22-25 minutes. 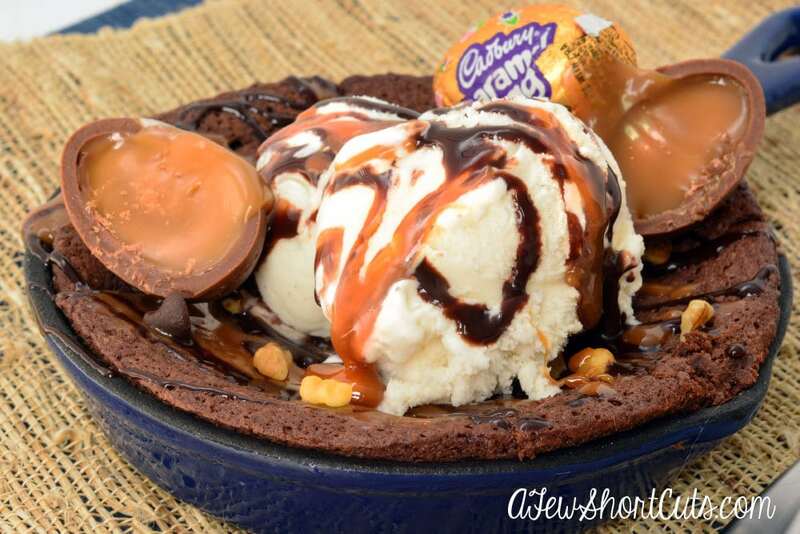 Once out of the oven, open up the Cadbury Eggs and drizzle the middle over the brownie and top with ice cream.